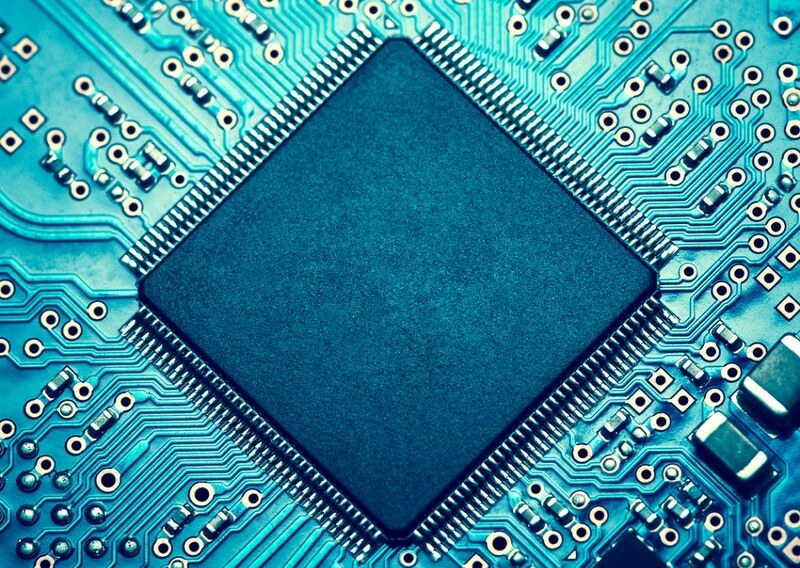 The need to develop components with increased efficiency and speed, at scales that are small enough to function on a computer chip, is becoming important in the quest for next-generation technologies. A number of obstacles interfere in developing enhancements in "on-chip" communications. One obstacle is the size of the electromagnetic waves at microwave and radio frequencies, which represent the backbone of the latest wireless technology. Further miniaturization is handcuffed by the relatively large waves. In an attempt to go beyond these limitations, scientists are analyzing the potential of optical conveyance that uses the properties of extremely small wavelengths, such as those in the visible, infrared and terahertz frequencies. The first nanoscale wireless communication system has been developed by researchers at Boston College. This system is capable of working at visible wavelengths using antennas that transmit and receive surface plasmons with an exceptional control degree. A report on this invention has been presented by the team in the latest issue of Nature's Scientific Reports. This nanoscale wireless communication system offers an "in-plane" configuration, a valued class of two-way information transmission and recovery in a single path, based on the research carried out by a group in the lab of Evelyn J. and Robert A. Ferris Professor of Physics Michael J. Naughton. The researchers state that the findings highlight a significant first step towards a nanoscale version, and a visible frequency equivalent of the currently available wireless communication systems. These on-chip systems can be used for high efficiency plasmonic waveguiding, high-speed communication and in-plane circuit switching, which refers to a process that is used in liquid crystal displays. Juan M. Merlo, chief co-author and a post-doctoral researcher who initiated the project, stated that the new device attained communication across many wavelengths. Juan was able to push it beyond the near field - at least to four times the width of a wavelength. That is true far-field transmission and nearly every device we use on a daily basis - from our cell phones to our cars - relies on far-field transmission. In comparison to the previously used plasmonic waveguiding techniques, this device has the potential to speed up the information transmission process by as much as 60%. This transmission is also 50% faster than plasmonic nanowire waveguides. Surface plasmons refer to the oscillations of electrons attached to the interface of an electromagnetic field and a metal. Surface plasmons possess a number of unique abilities, for instance they are capable of confining energy on that interface by positioning themselves into spaces that are comparatively smaller than the waves themselves. Metallic structures, including plasmonic antennas, have been created by researchers attempting to use these subwavelength capabilities of surface plasmons. One constant problem refers to the lack of efficiency to obtain "in-line" containment of the emission and gathering of the electromagnetic radiation. The BC team produced a device with a three-step conversion process that is capable of changing a surface plasmon to a photon on transmission followed by converting that elemental electromagnetic particle back to a surface plasmon as it is picked up by the receiver. We have developed a device where plasmonic antennas communicate with each other with photons transmitting between them. This is done with high efficiency, with energy loss reduced by 50 percent between one antenna and the next, which is a significant enhancement over comparable architectures. Merlo, who obtained his PhD at Mexico's National Institute of Astrophysics, Optics and Electronics, stated that the development of a tiny gap of air between the waves and the silver surface of the device is indeed central to the recently discovered control of the surface plasmons. The researchers removed a piece of the glass substrate in order to decrease the material’s disruptive pull on the photons in transmission. The concept of expanding and narrowing that gap plays a significant role in tuning the device. With conventional silicon waveguides, dispersion decreases the speed at which transmission of information takes place. The new device, without this barrier, is capable of capitalizing on the ability of surface plasmons to travel at 90 to 95% of the speed of light on photons and a silver surface passing between the antennas at their inherent speed of light, Merlo stated. "Silicon-based optical technology has been around for years," said Merlo. "What we are doing is improving it to make it faster. We're developing a tool to make silicon photonics faster and greatly enhance rates of communication."